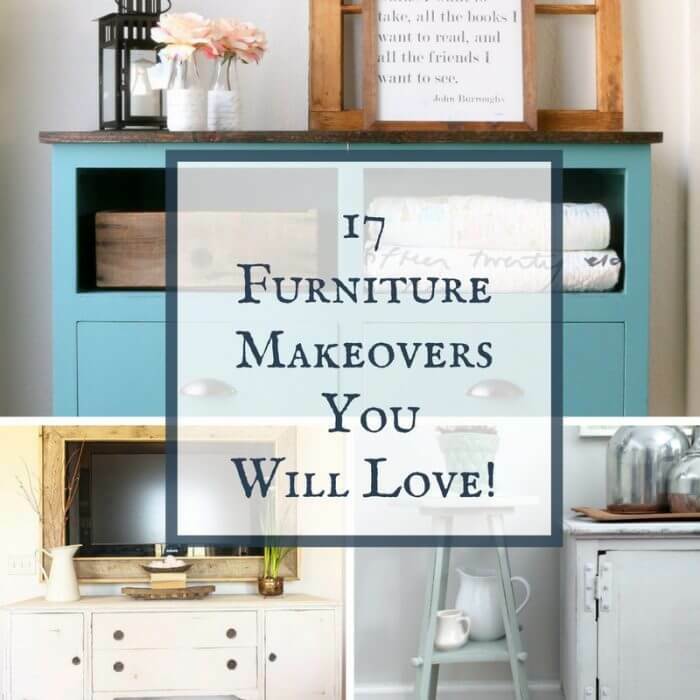 DO you love furniture makeovers as much as I do? Well, then you are in for a real treat today. 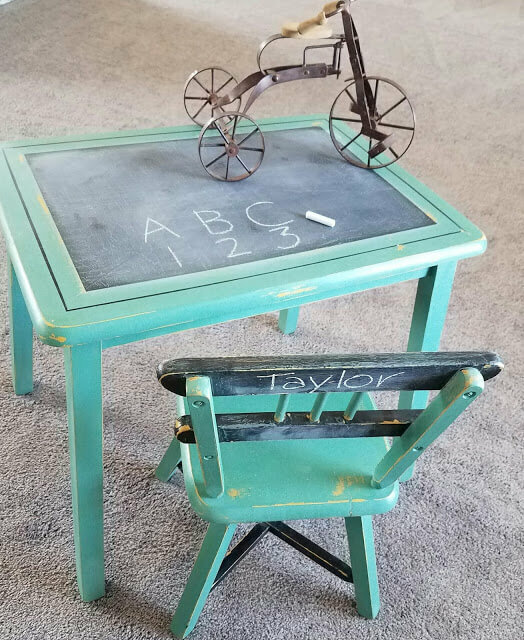 I have been scouring the internet, looking at many of my favorite blogs, finding the most fun and unique farmhouse painted furniture pieces I could find! Keep on reading to see painted furniture, distressed and antique furniture as well as some unexpected items! I love taking something old and turning it into something new and loveable. I know we all have those odd pieces of furniture that were either hand me downs, thrift store finds, or even in my case, nice furniture that you just want to change. And guess what? Change is okay! 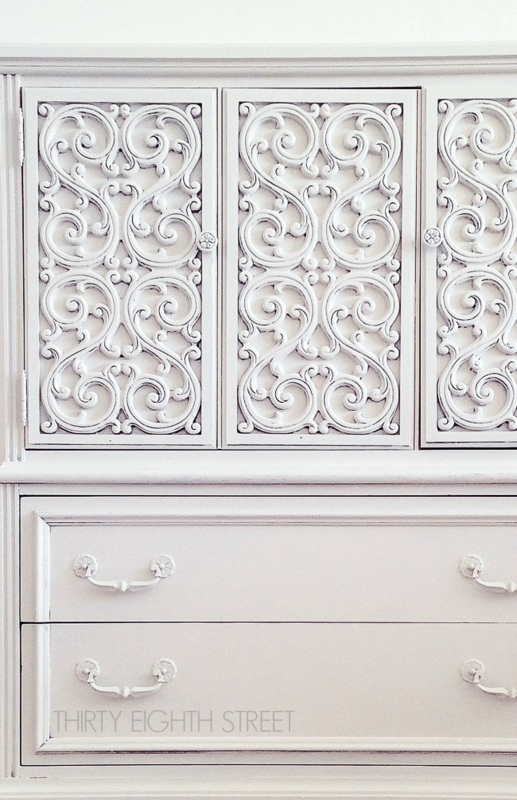 There are so many ways to paint furniture. There are so many styles and techniques, I couldn’t possibly talk about it all right now. 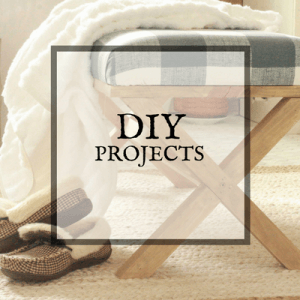 If you are looking for great farmhouse furniture without the work, check these out. I have even more posts about painting if you can believe it. Its just truly one of my passions. 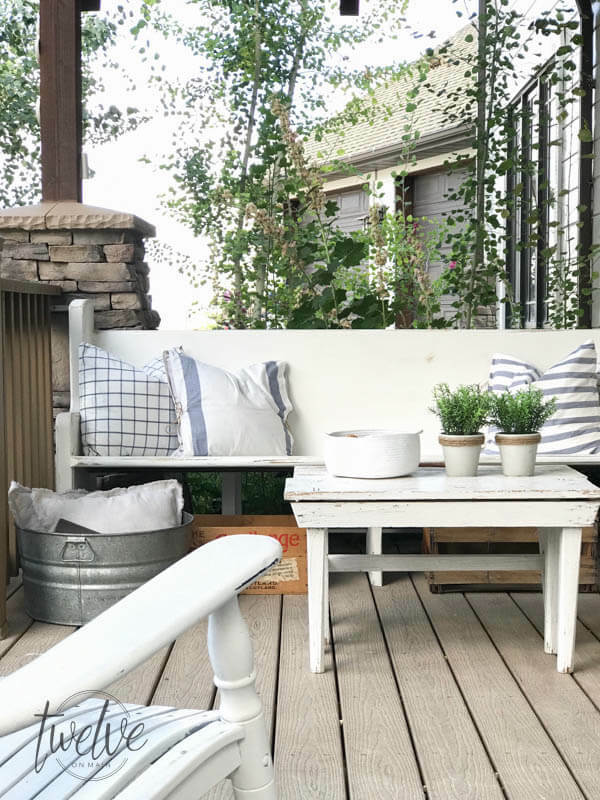 Today though, I want to share with you some really neat farmhouse painted furniture pieces that may give you just the right amount of inspiration in your own life to create something similar. Maybe it just gives you the courage to try that technique you’ve been thinking about. Whatever it is, make sure to check out these furniture pieces and check out all the different painting techniques that are used. So lets get started! 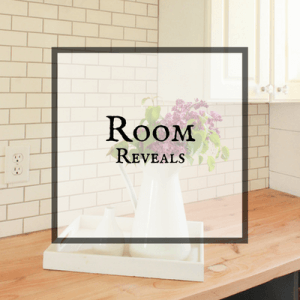 Now this would not be a shameless plug without sharing a few of my favorite pieces of my own home, so through the post you will see some from me! I hope you will check them out! This church pew is one of my all time favorite farmhouse painted furniture pieces. I got this church pew on a random day when I was travelling through a bigger city. It was total luck that I even saw it. There was a post on Facebook about it, and luckily I was the first one to comment! I even had my truck! It was meant to be. If read the post about this church pew, you will see the before, and how much work it needed. I ended up painting it, and have loved it so much! This is a gorgeous piece of farmhouse painted furniture. Gosh I love the detail and how they distressed the detailed areas on the front of the dresser. Hop over to see how she created this gorgeous look! This bed was originally an ugly bright yellow! We found it at a second hand store and knew it would be perfect for our daughters room. We decided to give it a antique mirror finish, which was so cool! If you click on the link above you will see exactly how I did it. Since this picture was taken, we have repainted it a black, which you can see here. 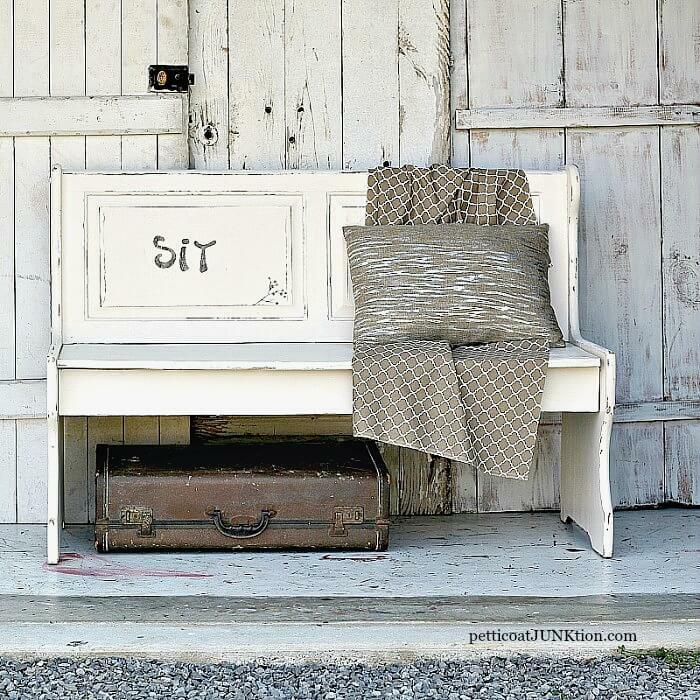 I think we can all agree that this bench is the perfect piece of painted farmhouse furniture. 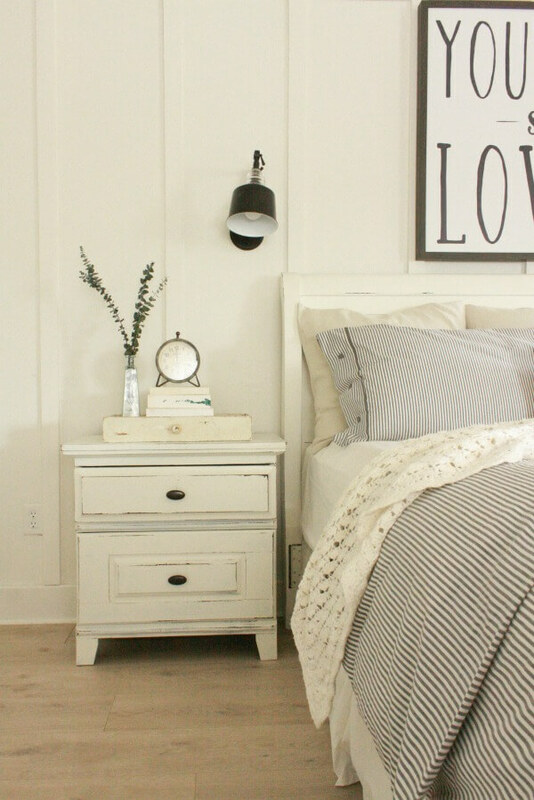 White is such an iconic color in farmhouse décor along with the cute “sit” painted on it and the distressed details. I just love it. 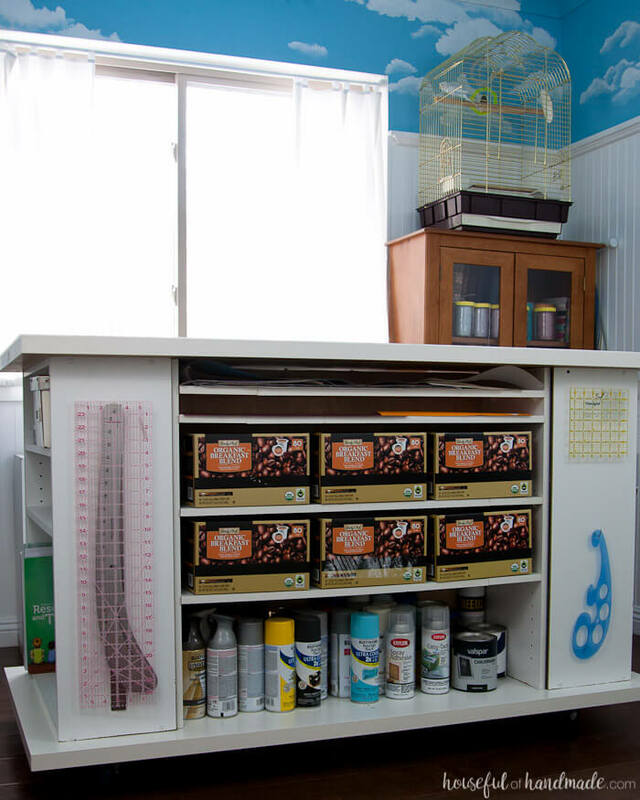 I love how Houseful of Handmade totally upcycled this piece of furniture and now uses it as a work table! So awesome! 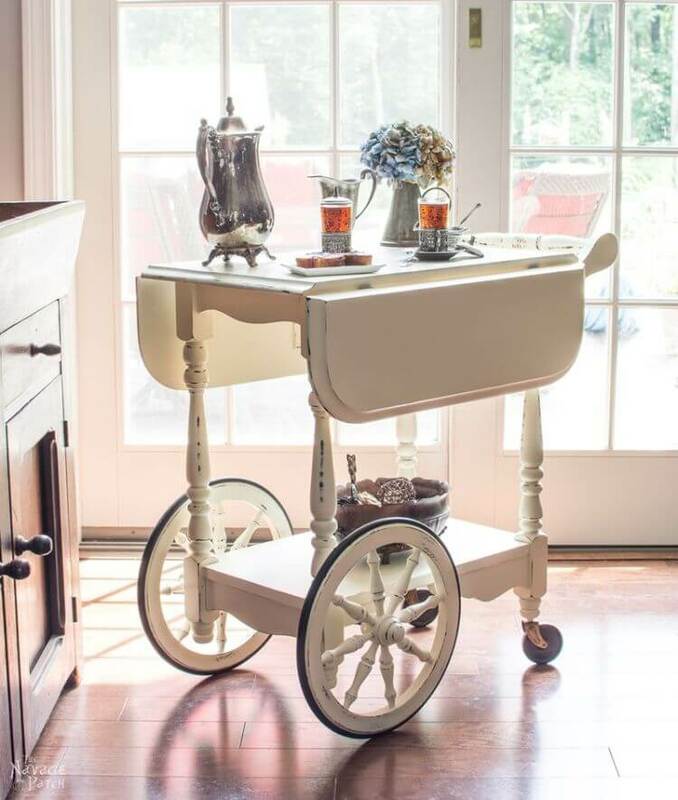 The Most Gorgeous Tea Cart! 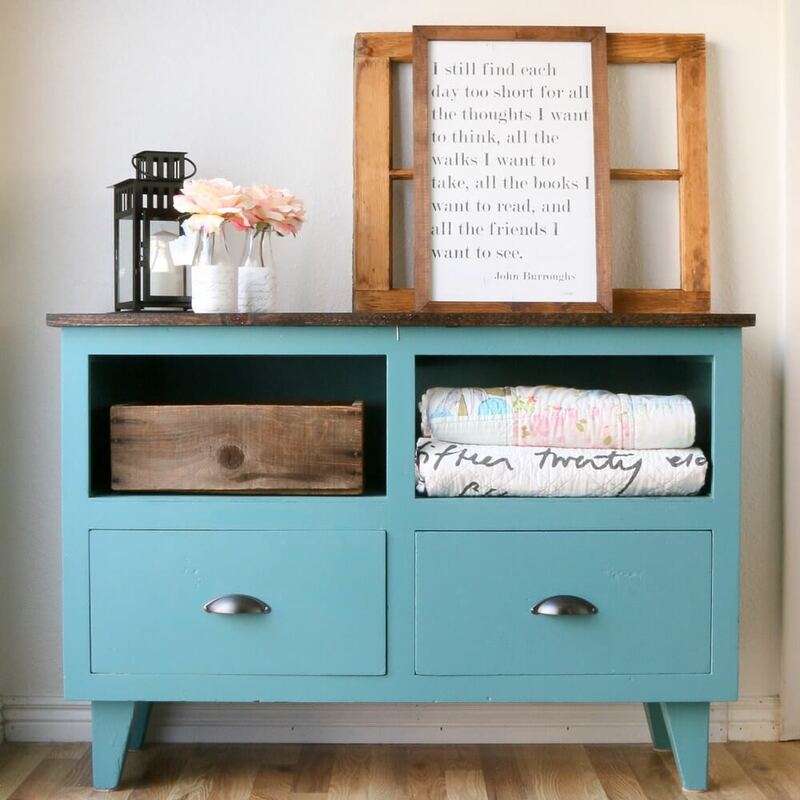 This is one of my most favorite farmhouse painted furniture pieces I have seen. The character and detail in this tea cart is just perfect. I love everything about it! I mean really, can you imagine your kids with this cute little table? My kids would be in heaven being able to draw on this table without any worries! I tell yo there is no shortage of great painted furniture makeovers. 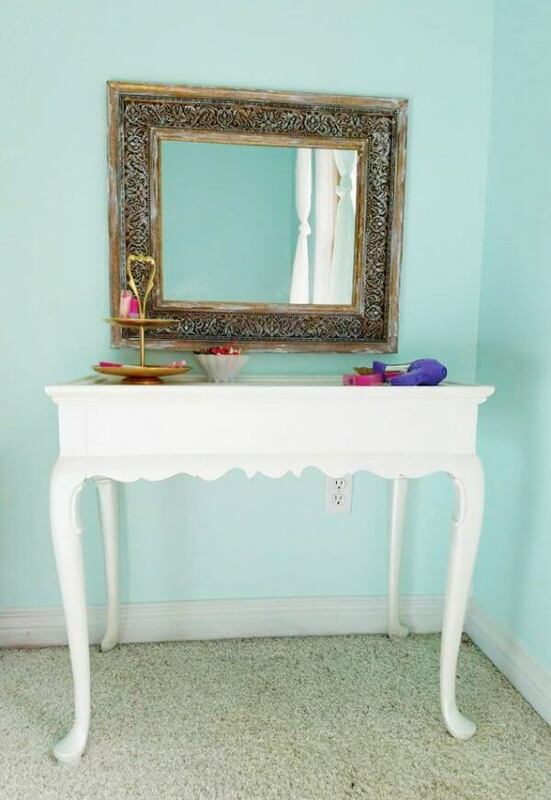 This may not be the iconic white painted furniture but the lines and style of the little dresser/console is so great. The new color is gorgeous and the farmhouse details above are perfect. Would you believe me if I told you this is my most popular post? Well, its mostly because of what the furniture looked like before! 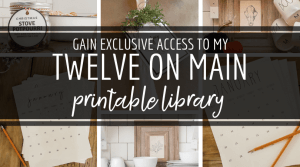 I have tons of tips and how to’s in this post so make sure to check it out! 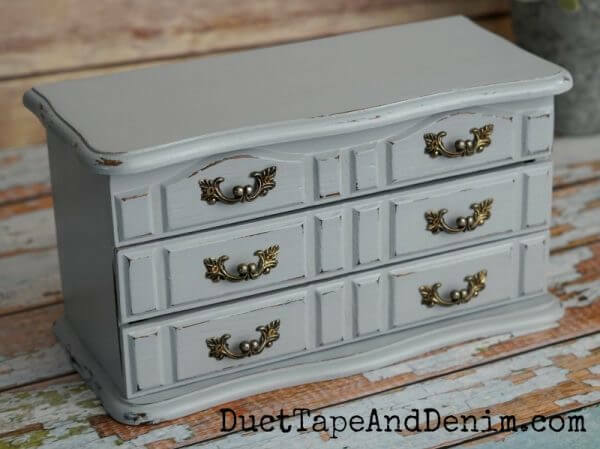 This is a really cute makeover from Ductape and Denim. How cute would this be on a desk or dresser? The perfect place to store your jewelry in style. Sometimes it doesn’t have to be a huge project. Maybe if you are looking to get started painting furniture, you can start with something like this. Such a cute piece. 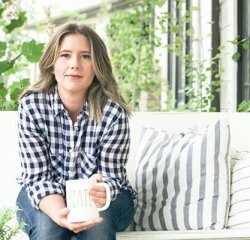 This farmhouse painted furniture got a huge update! I was able to snag this buffet for only 60 dollars! It has been my favorite piece of furniture on or home! My friend here at Just the Woods is an absolute genius at painting furniture. I love seeing all her new and ummm GORGEOUS pieces that she creates. You definitely should check her stuff out! 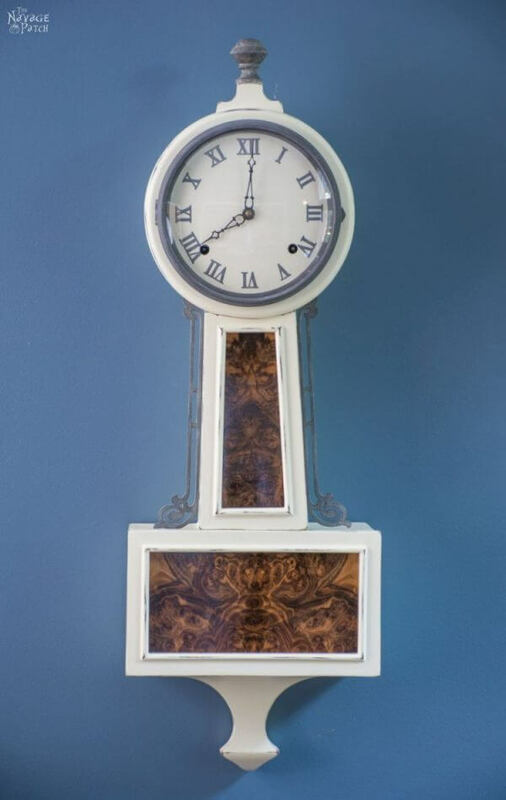 I love this clock! Stop by The Navage Patch to see the full tutorial! Recently I got a wild hair and painted my bedroom fireplace! This was a labor of love and I am thrilled with how it turned out! 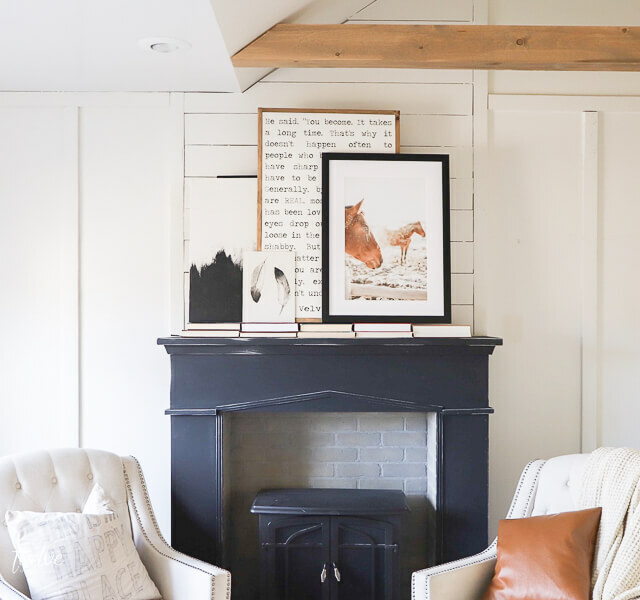 It adds that bit of modern farmhouse décor that I have been craving lately. This is so cute! I love plant stands! 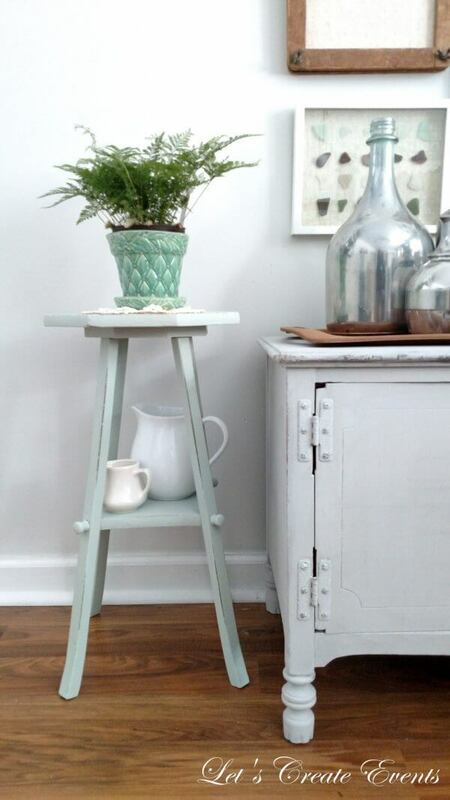 And last, this cute side table makeover by One Thousand Oaks. I am a big fan of white furniture so its obvious that I love it. 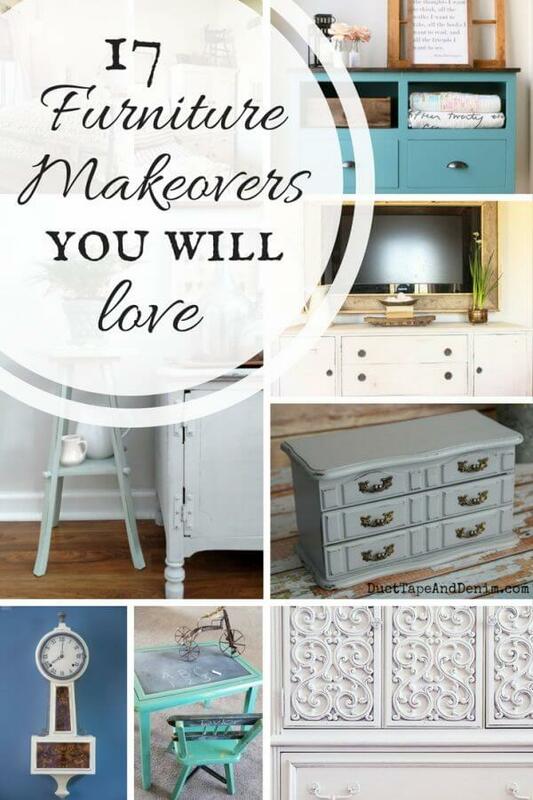 Do you love furniture makeovers? Do you? I sure do. 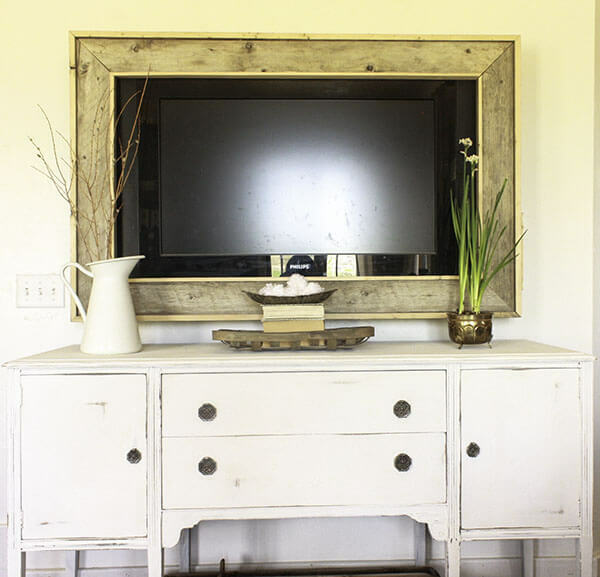 There are so many cool things you can do with unloved pieces of furniture. 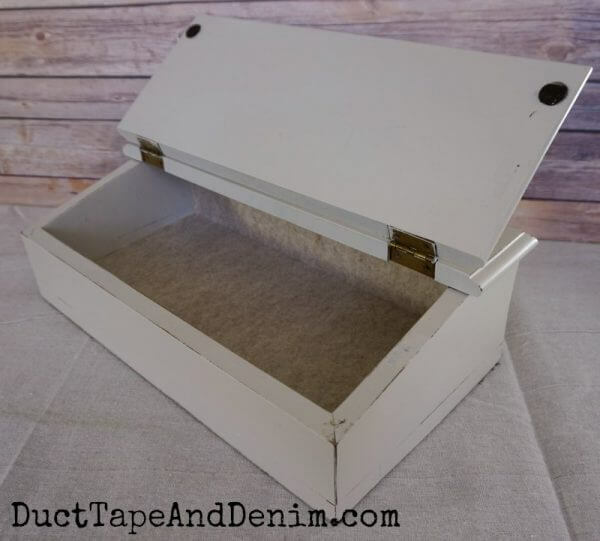 Make sure to check out some of these and many others before throwing that old dresser out! Functionally, it may work, but lets get it working aesthetically too! 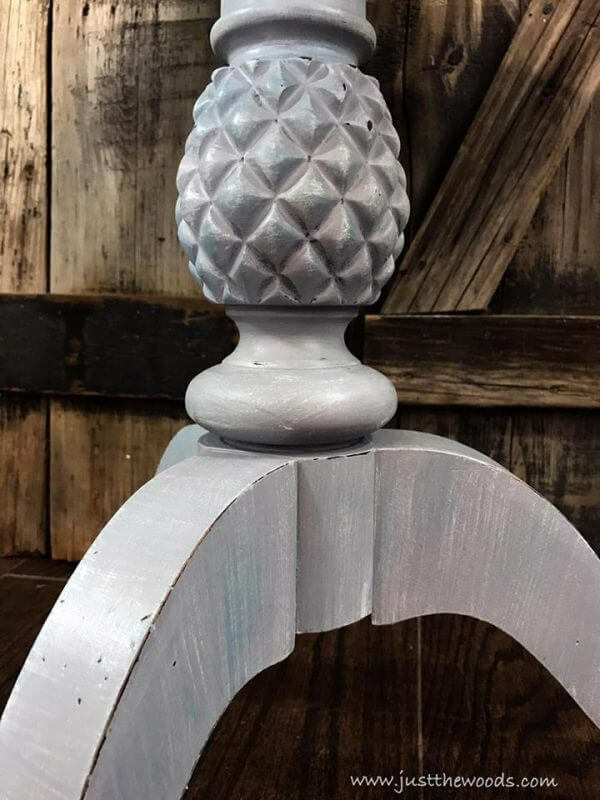 Thank you so much, Sara for including my Silver Metallic Night Stand makeover in your furniture features this week! I’m honored to be among so many talented furniture reimaginers. Have a fabulous week! 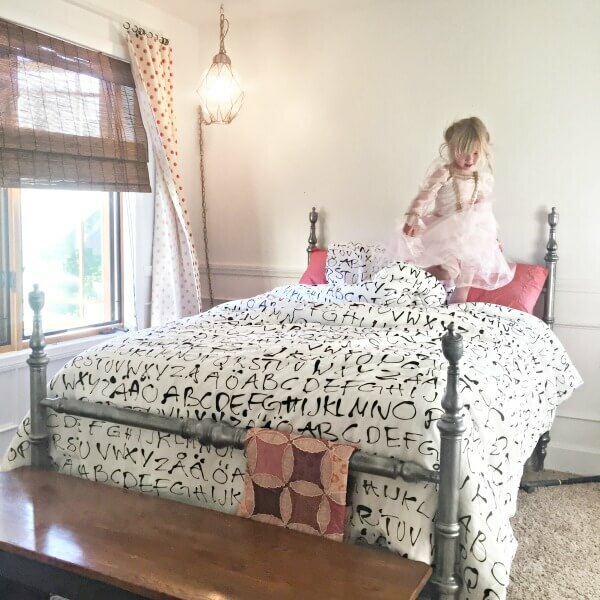 Thank you for including my Table makeover in your post! !